Hermes Hotel invites Malia holiday goers to enjoy a homely stay for an affordable price this summer ’19! Hermes’ welcoming and friendly staff will make you feel like you never left home in a pleasant and fun environment. 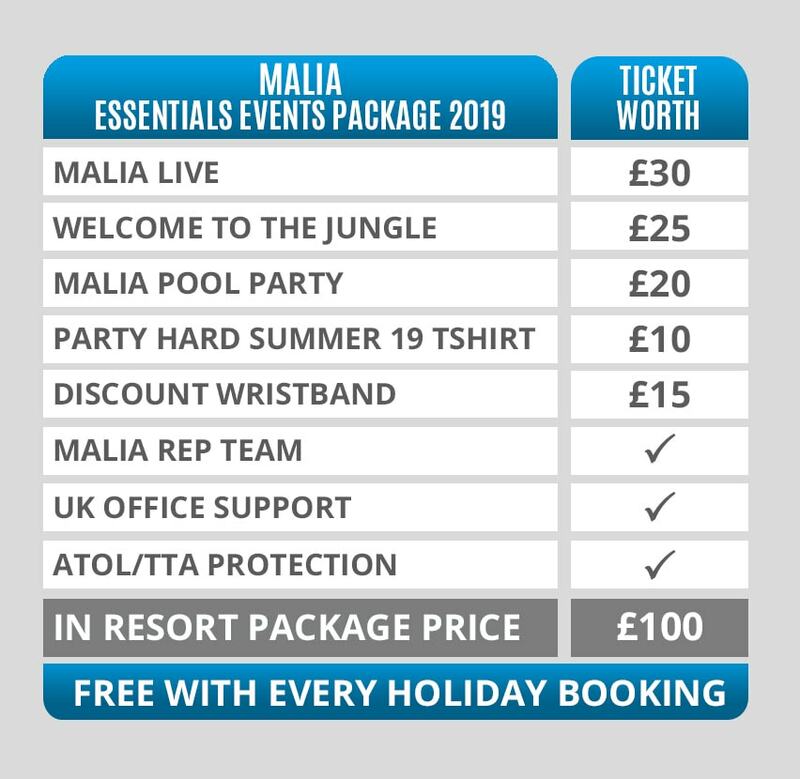 The hotel is situated around 5 minutes’ walk from Malia Beach Road; the perfect hotel to be within easy reach of Malia’s famous events and club nights. In the day you can relax and relive the epic events of the night before at the Hermes Hotel. With an outdoor pool surrounded by sun loungers, you can chill or take a dip to cool off from that Malia sun. Grab yourself a drink or some food at their bar and play a game of pool with your pals. If you fancied something a bit more adventurous, then the stunning of beach of Malia is just a 10-minute walk away. Lounge in style on their luxury sunbeds or see what watersports they have to offer. You’ll find the days can be just as fun as the nights. Hermes Hotel’s recently re-designed rooms offer 2 bed, 3 bed or 4 bed accommodation. Each room features a plasma screen TV, en-suite bathrooms with hairdryer, fully-equipped kitchenettes and a private balcony. Please note, like almost all party hotels abroad, a conditional, returnable room deposit may be required on arrival (no more than €50pp).